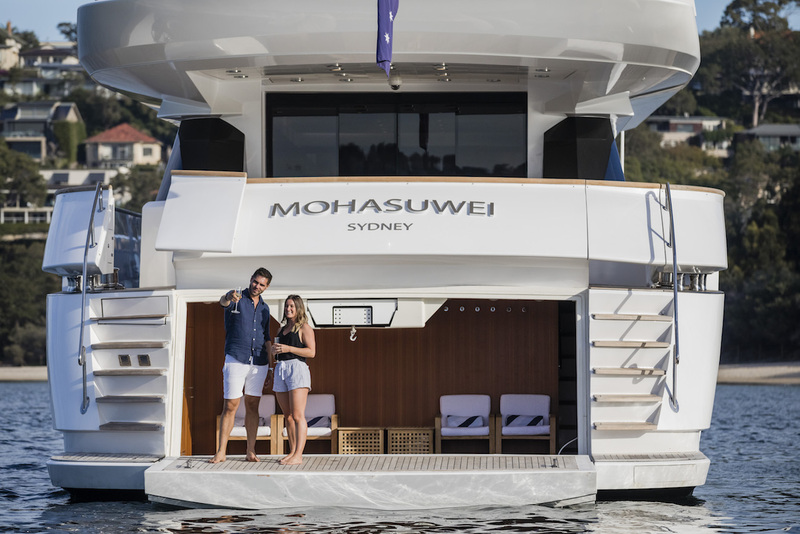 Luxury motor yacht MOHASUWEI is a 33.00m (108' 3") crewed vessel built by the Italian Cantieri di Pisa shipyard and launched in 2009. 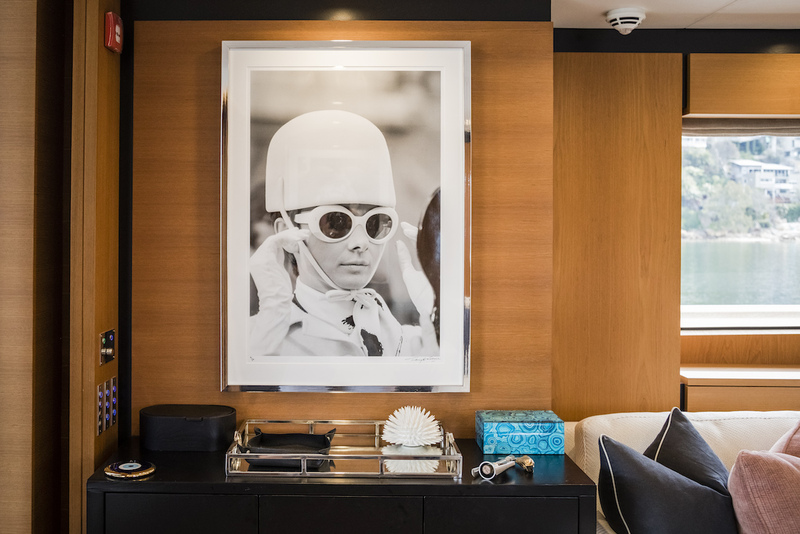 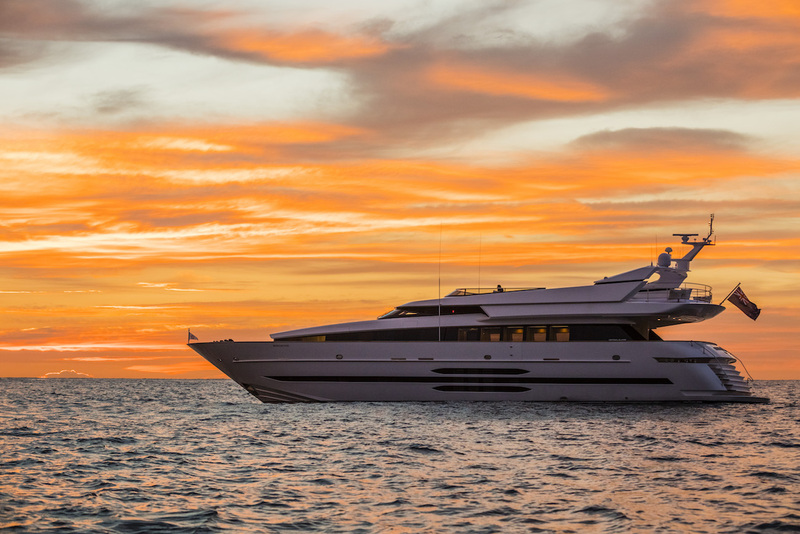 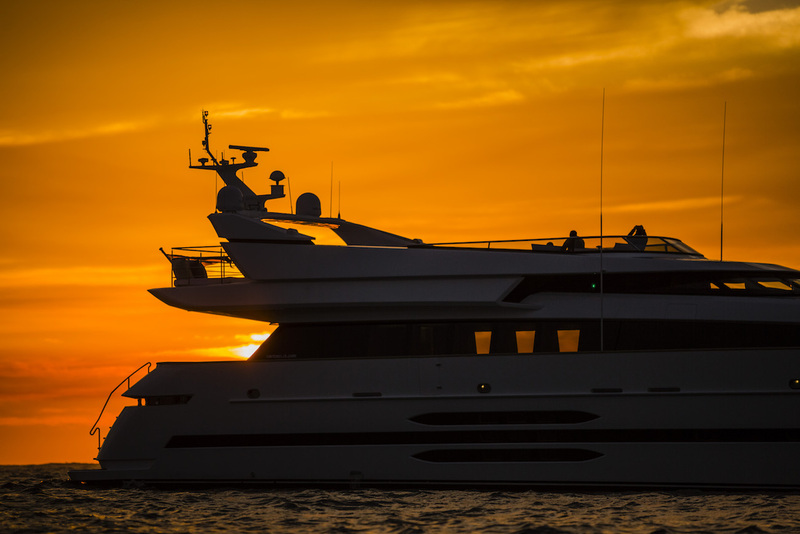 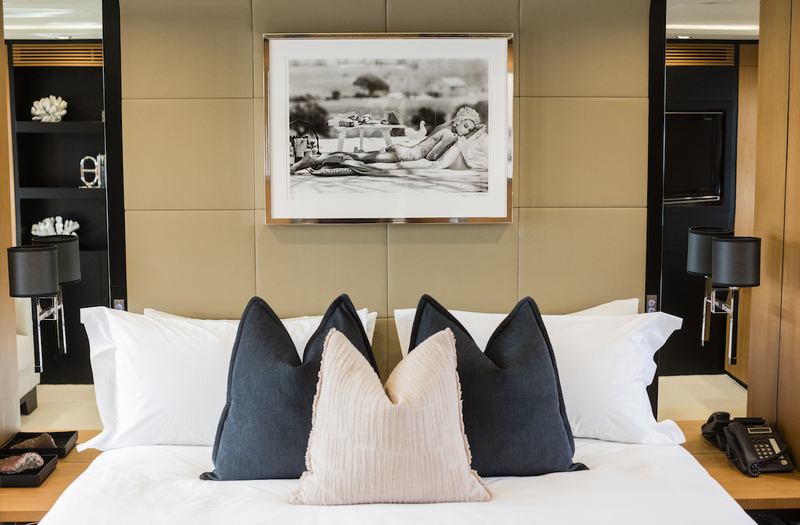 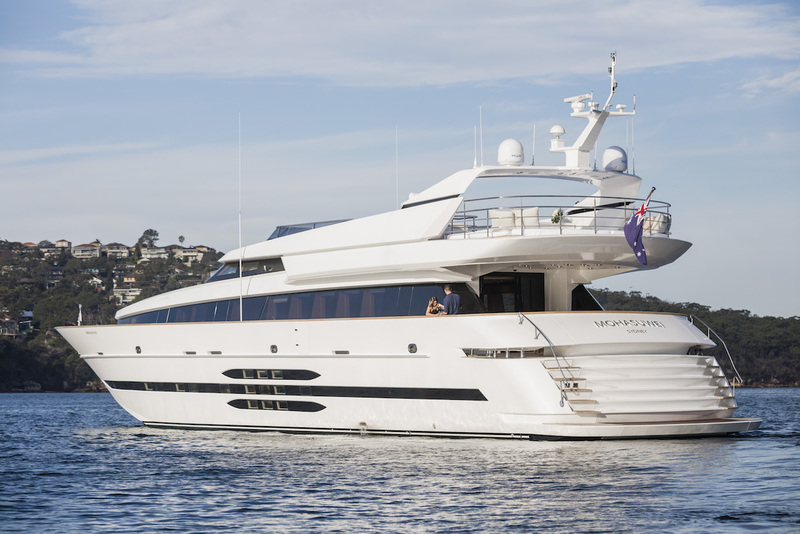 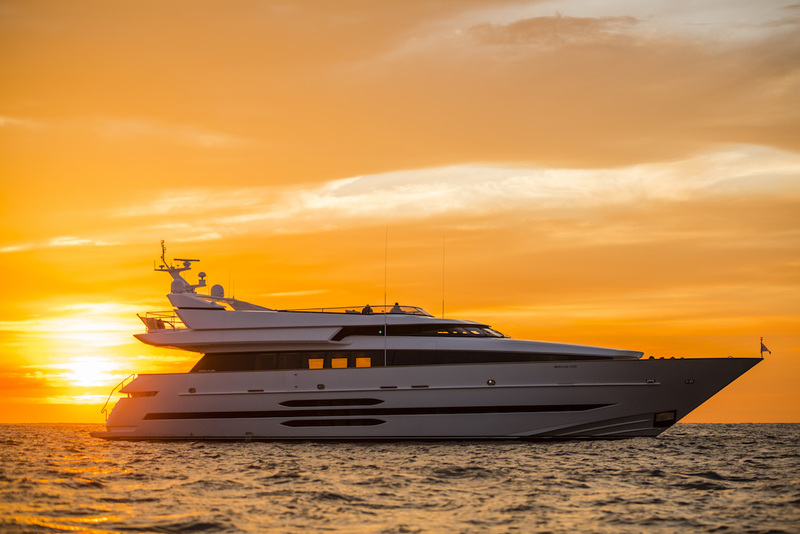 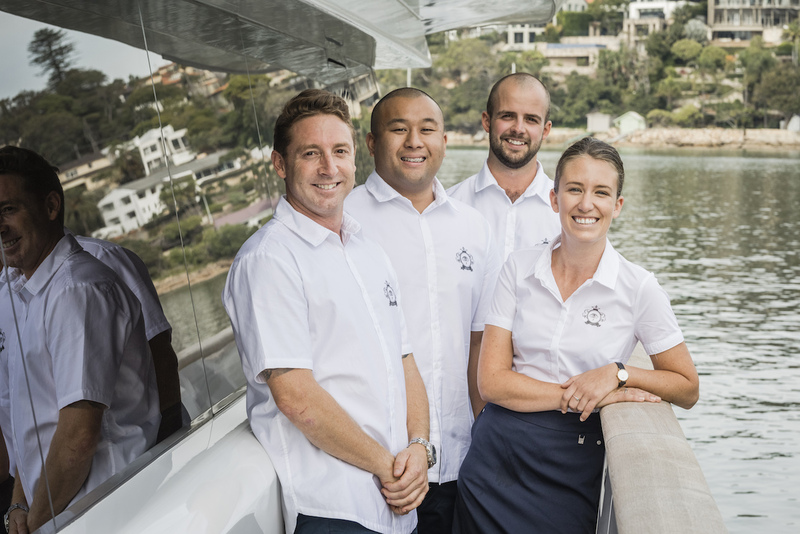 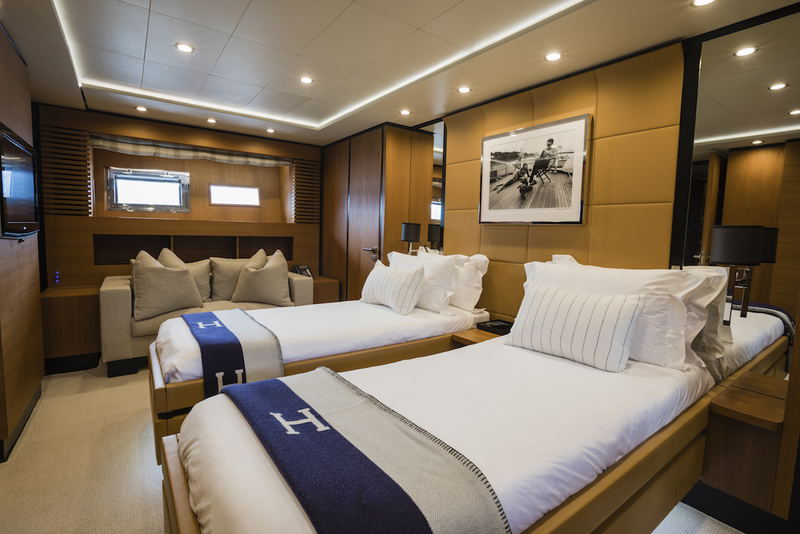 She was refitted in 2018, offering contemporary interiors with inviting decor for up to 10 charter guests sleeping in 4 cabins. 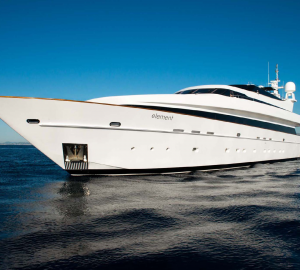 She has a crew of 5 on board. 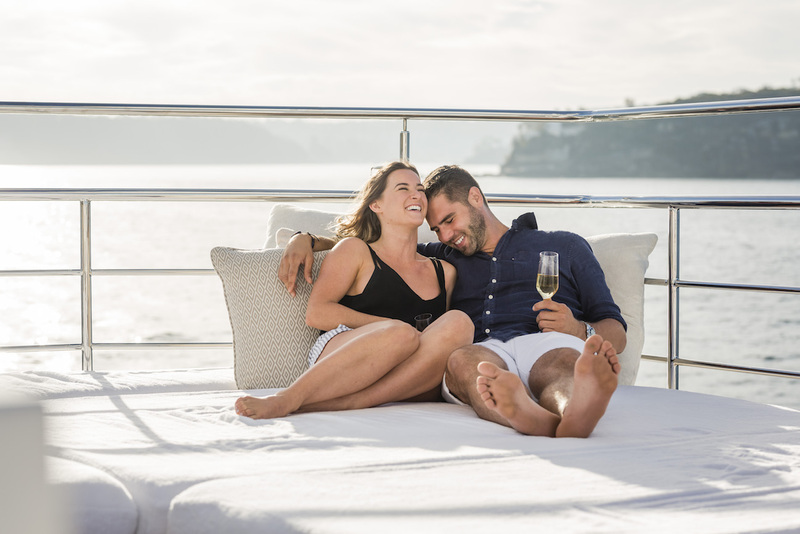 The shaded beach club offers easy access to water and as well as the possibility to enjoy the extension into the sunshine that the swim platform provides. 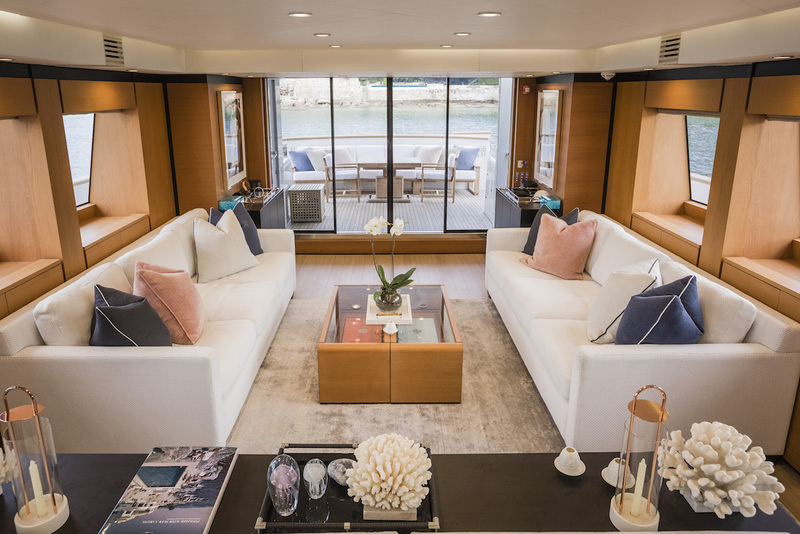 An interior staircase leads to the main deck aft, where there is a sophisticated alfresco dining table that can be extended outwards and a choice of sofa seating or free-standing chairs. 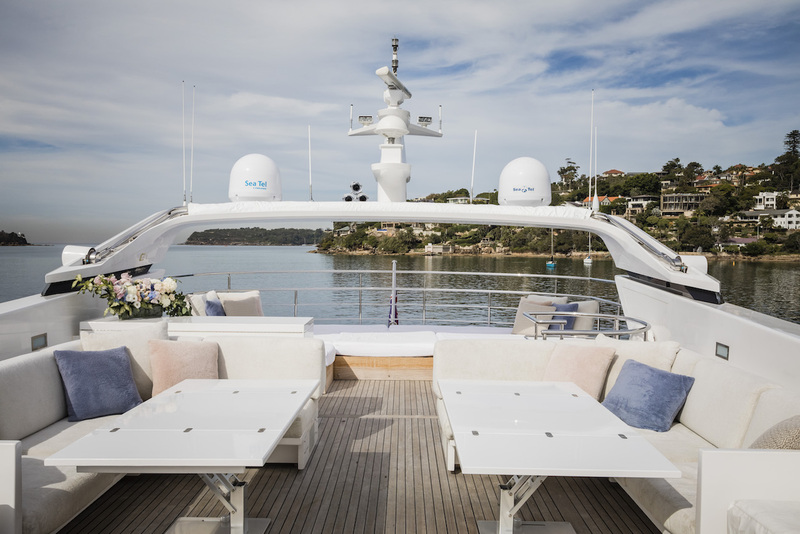 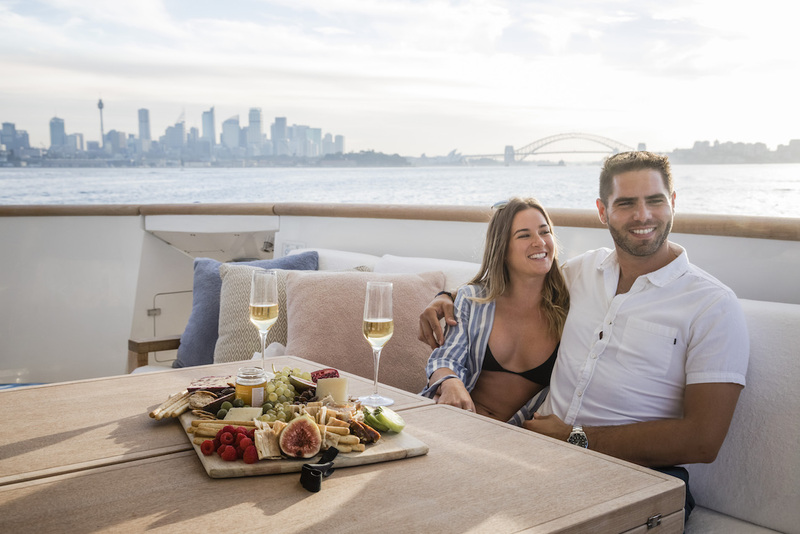 On the sun deck, there is a choice of the sun pads spread across the aft or the two inward-facing sofas with alfresco dining tables for relaxation in the sunshine. 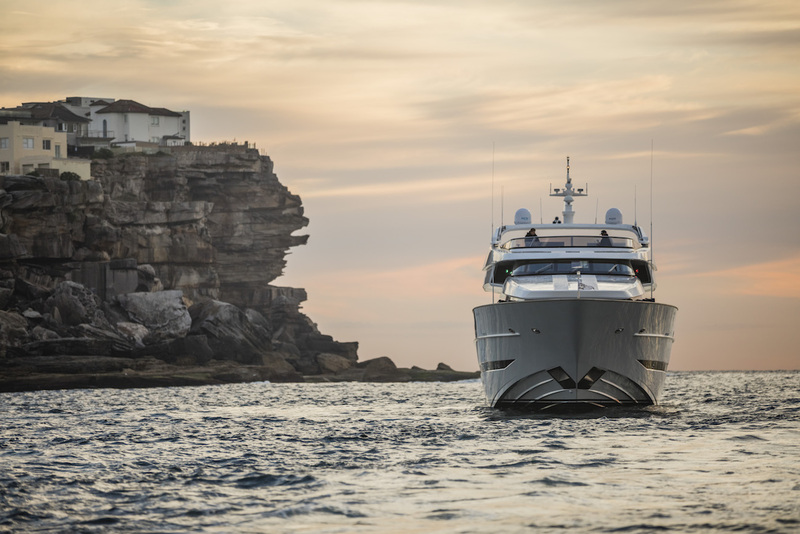 The forward section contains the helm station and guests can also sit here to savour the magnificent views. 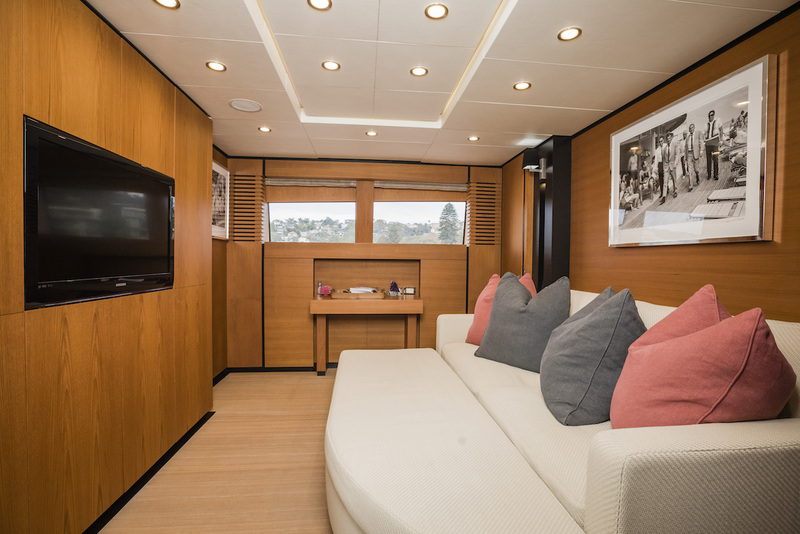 The interior uses a mellow contemporary colour scheme of pale and mid-tone wooden panelling against stone grey carpeting, white upholstery and accents in flush pink. 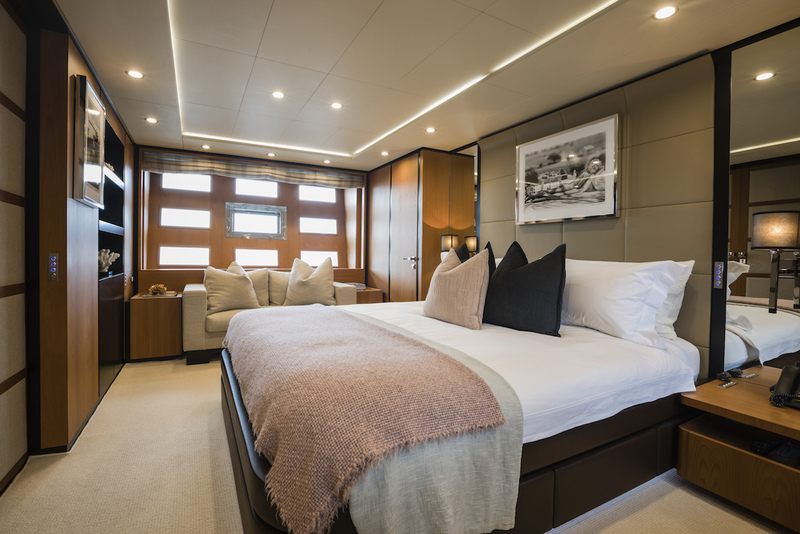 The lower deck places the Master suite amidships to make use of the full beam and provide a sofa and desk/vanity area as well as an en-suite bathroom and walk-in wardrobe. 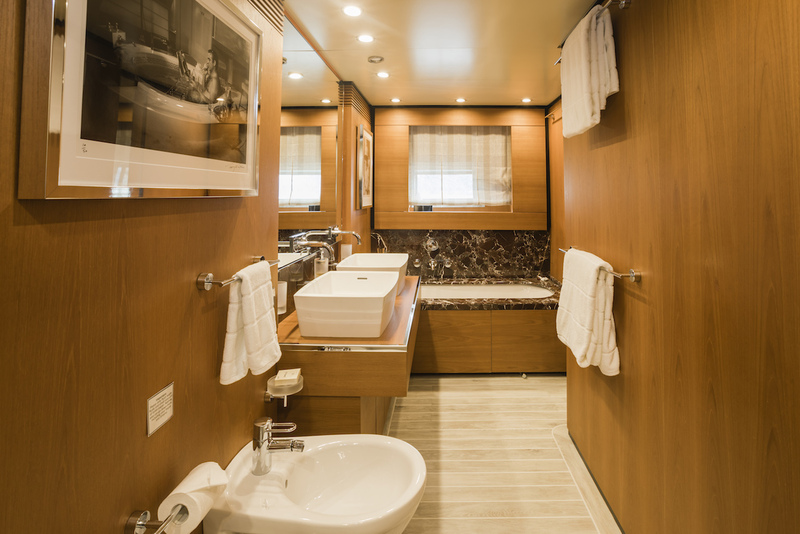 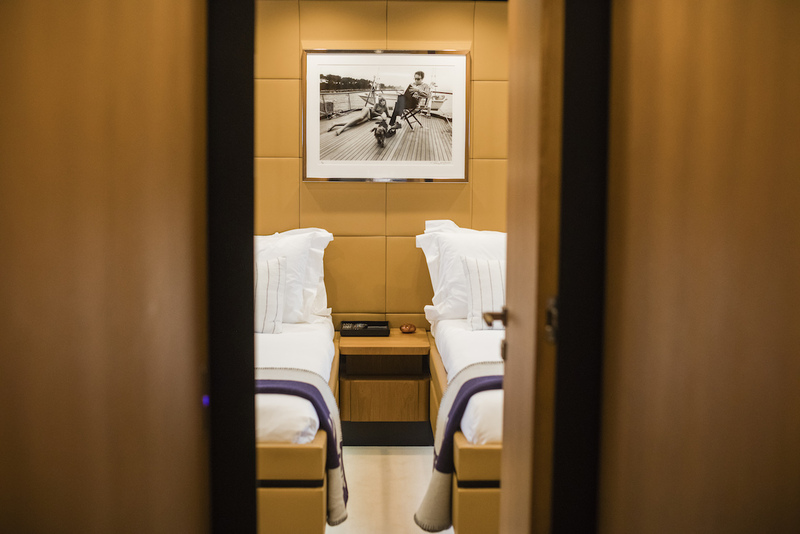 The two twin cabins (one with a Pullman berth) are placed forward of the Master suite and have their own en-suite bathrooms, while the VIP stateroom has twin beds convertible to a double and an en-suite located just behind the crew accommodation in the bow. 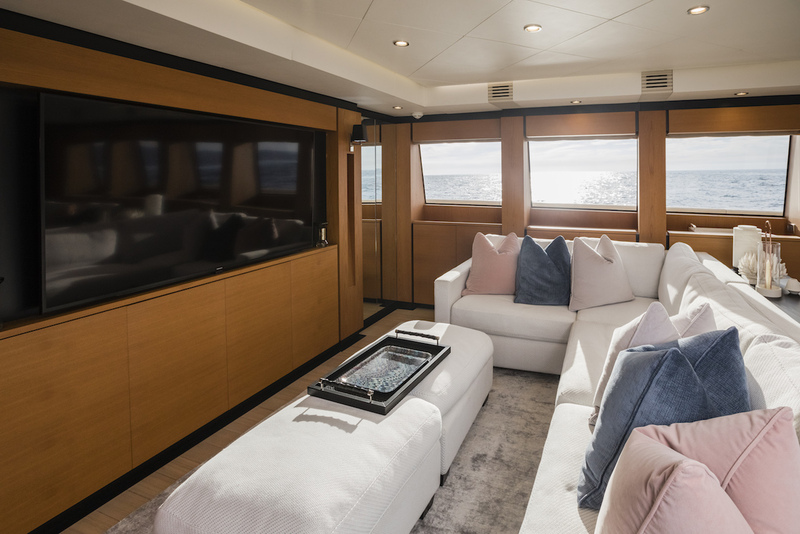 The main deck is a welcoming contemporary environment placing a cosy media room forward where a family can enjoy an evening film together or use the area as a quiet reading room alternative to the main salon. 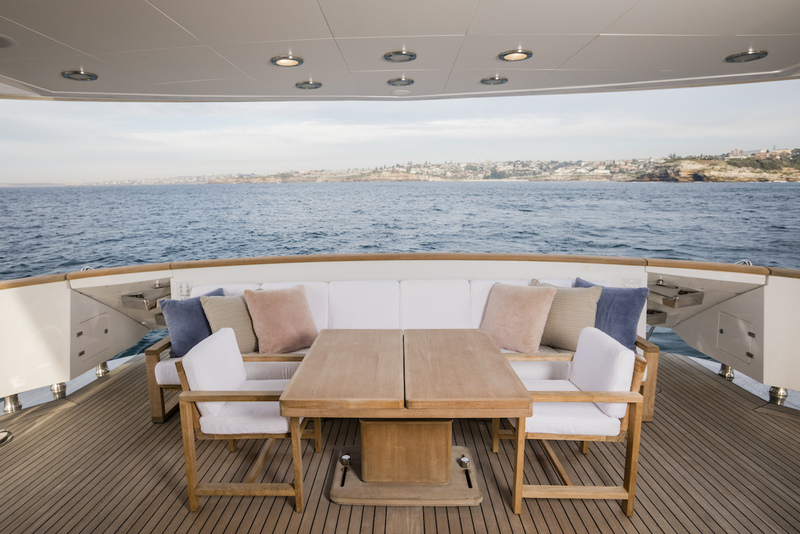 The formal dining area is designed to seat up to 10 in an intimate environment placing the emphasis on the company and the occasion. 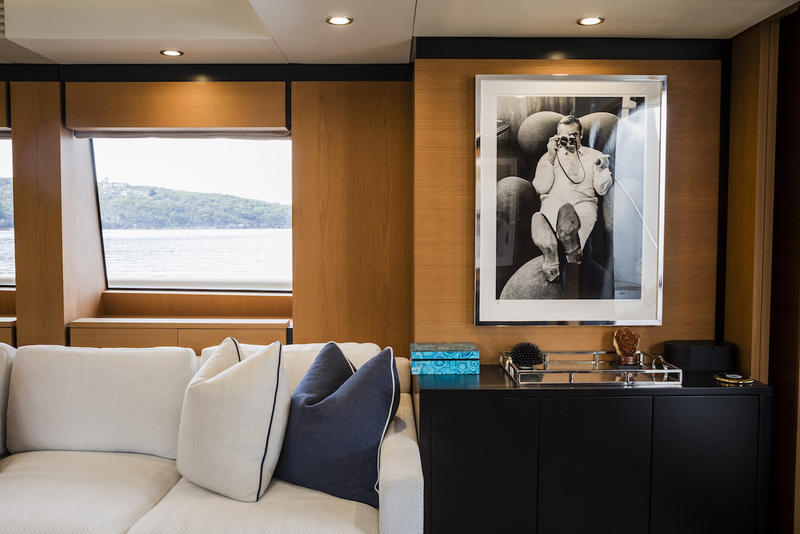 The lounge has a forward area dedicated to the library and multimedia with a massive widescreen TV integrated into the forward wall, and behind the social space has two sofas that receive plenty of natural light from the large square windows as well as the glass doors out onto the main deck aft. 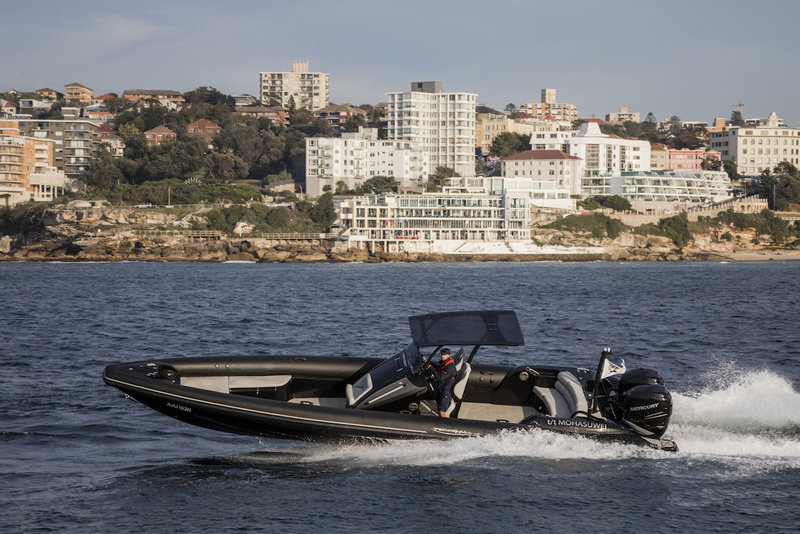 A pair of MTU 16V2000 Diesel engines allows for a top speed of 22 knots and a cruising speed of 10 knots with a range of 1110 nautical miles. 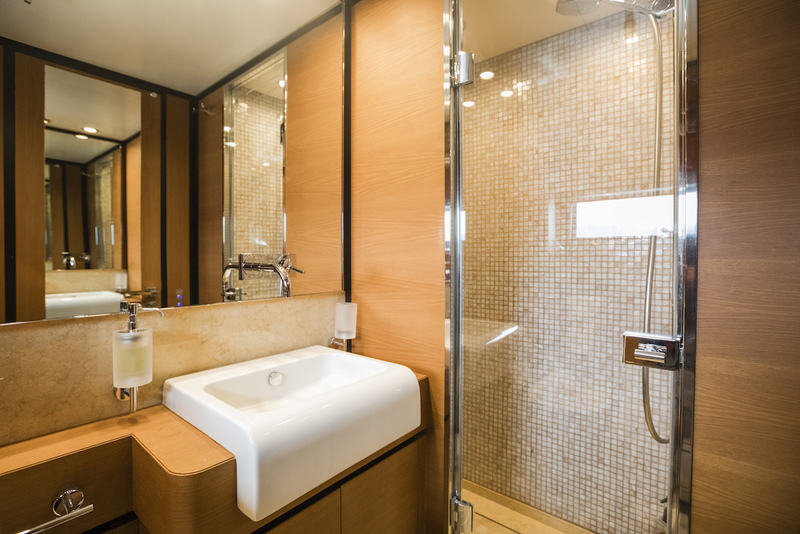 MOHASUWEI offers accommodation for up to 10 guests in 4 luxurious guest suites, each with its own private ensuite bathroom. 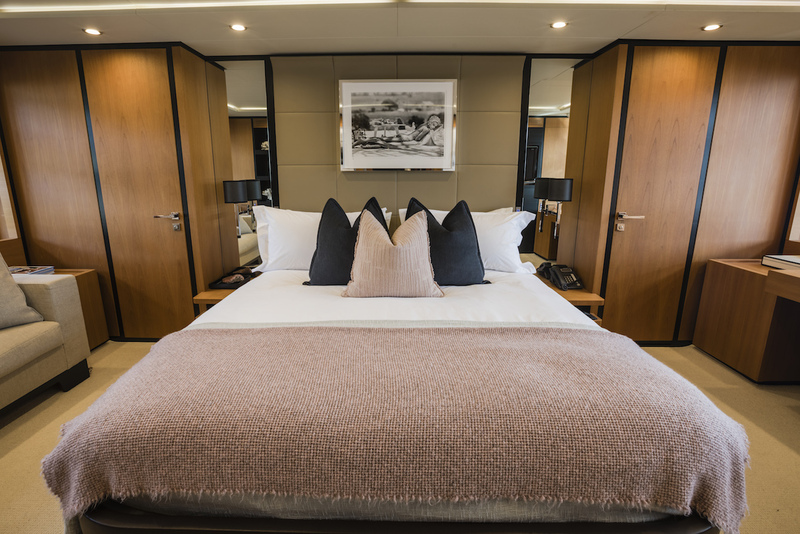 The large master cabin has been fitted with a king size bed, large ensuite, work desk & lounge whilst the VIP cabin offers the flexibility of being setup either as a 1 x queen size bed or 2 x single beds. 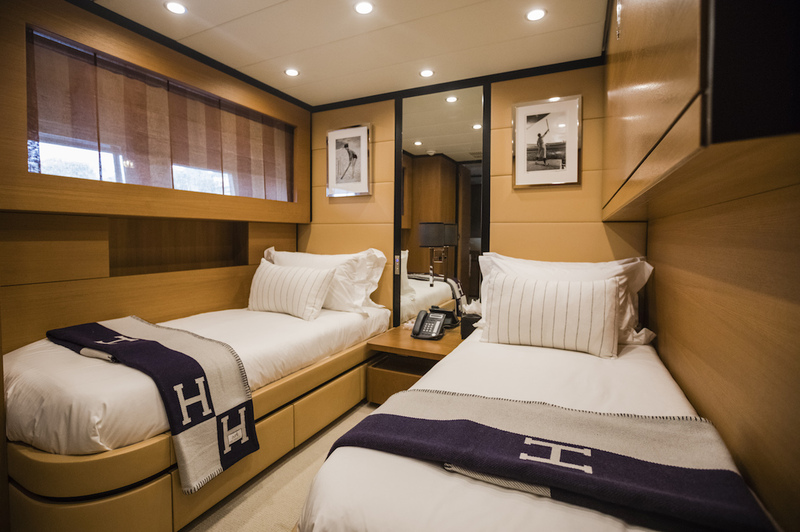 There are an additional 2 twin cabins, each with side by side single beds as well as a pullman in each. 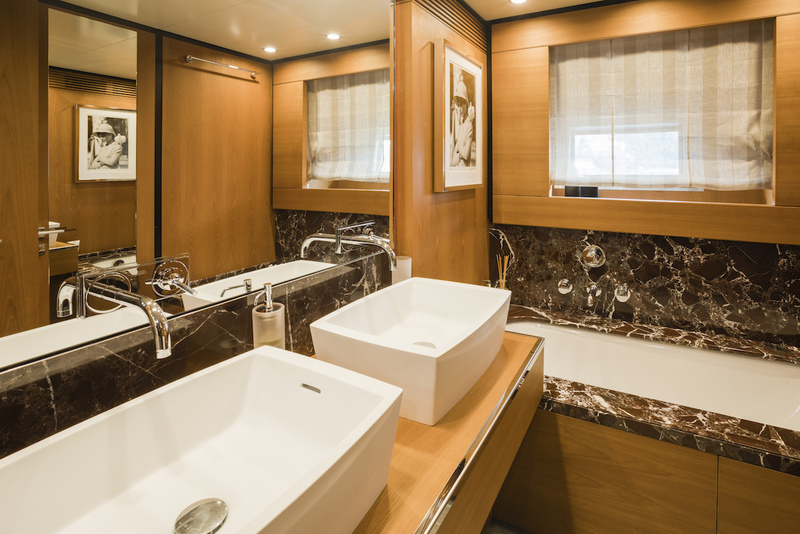 Tenders & Toys: ~ 10m Technohull tender (8 guests comfortably), included in all extended charters ~ Aqua Lily Pad ~ Inflatable and towable tubes, ski biscuit ~ Snorkelling equipment for adults and children Contact us for the full list of toys ... ~ BOSE music system throughout: in the main salon, aft deck, sun deck and bow area which guests can connect their own smart device via Bluetooth, or use the yacht's IPAD to control.